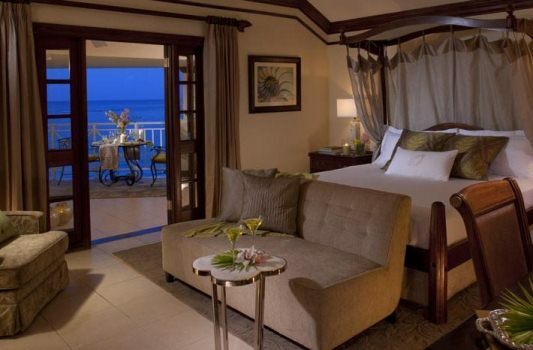 For the ultimate in exclusivity and indulgent pampering, escape to Sandals Royal Plantation, the only all-butler, all-suite boutique resort in the Sandals collection. Nestled within a magnificent coral bluff on Jamaica’s lush north coast, this intimate resort of just 74 ocean-view suites is renowned for its impeccable service, unmatched attention to detail and retro-chic sophistication – complete with all the world-class amenities for which Sandals in renowned. 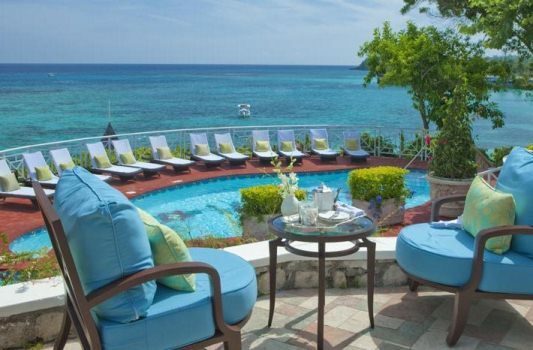 This stunning Sandals property is a must for any of our TravelLab guests wanting to pamper themselves in pure luxury. With butler service throughout you really will not need to lift a finger, their staff are gracious, knowledgeable and discreet. From award winning dining to luxurious surroundings this is a must for an opulent getaway! Situated just outside of Ochos Rios. Transfer from Montego Bay airport is approximately 1 hour 15 minutes away. These suites are furnished with a custom crafted four poster mahogany king bed as well as an ornamental French balcony in the sitting area. 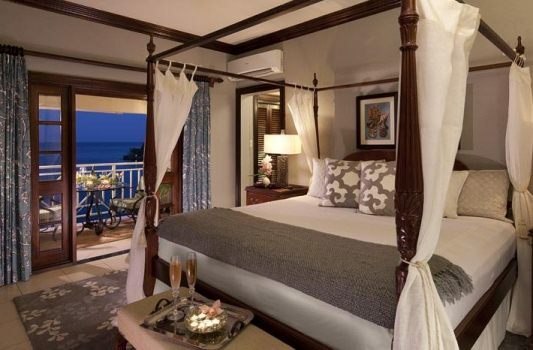 Custom-crafted four-poster mahogany king beds are a distinct feature of this suite, which also boasts breath taking views of the ocean which you can enjoy from your sitting area which includes a French ornamental balcony. 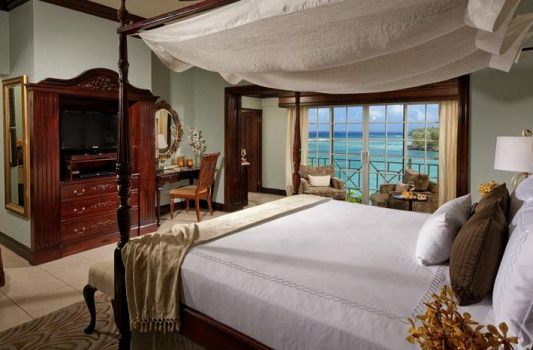 This suite category features a custom-crafted four-poster mahogany king bed, a Roman tub bath with separate walk-in shower as well as a French ornamental balcony with a spectacular ocean view. A King bed is incorporated in sitting area and en suite bathrooms are also large with Roman tub bath, bidet and separate walk-in shower. The suite also features a spacious walk-out patio and spectacular ocean views. Complete with an enormous 178 square foot walk-out veranda, this spacious suite envelopes you in an atmosphere of sophisticated luxury with its sumptuous half canopy mahogany bed, huge marble bathroom complete with a whirlpool tub and separate tumble stone shower, fully-stocked bar and Caribbean accented decor. 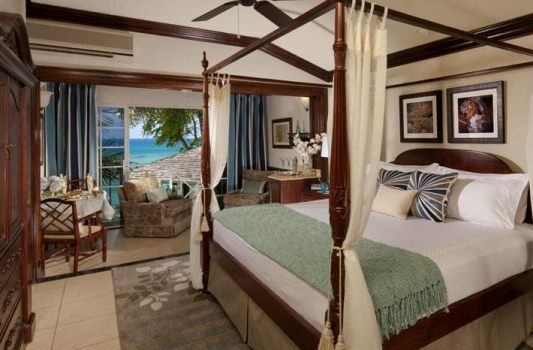 This suite has a magnificent view of the satiny white sand beach and its turquoise waters. A truly unique and romantic 1-bedroom suite, which you enter through the living room; to the right is the entrance to the bedroom which features a custom crafted mahogany bed and a marbled master bathroom. To the left is an entrance to the private Roman tub bath with walk-in shower and walk-out patio. 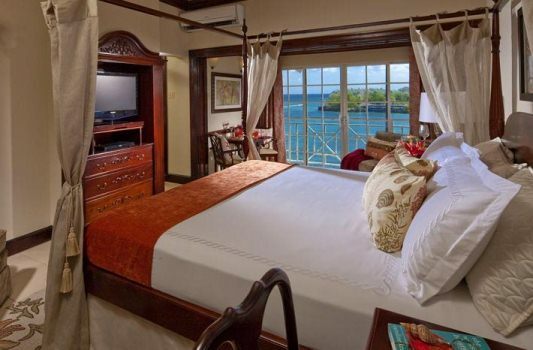 French windows allow the view of the tub and the spectacular view of the beach, cove and the Caribbean Sea. Expansive and elegantly decorated this suite has a large living room leading onto a spacious balcony which overlooks the idyllic west beach and tranquil cove. Master Bedroom boasts a king size four-poster mahogany bed, private walk-out balcony with romantic lounge chair for two, gold marbled master bathroom with Roman tub bath, bidet and a glass door walk-in shower with frosted mirror at the side. This suite is complete with two full walk-out balconies in addition to the custom-crafted mahogany king bed and a master bathroom containing a Roman tub bath, walk-in shower and bidet. Located on the secluded East Beach of the resort, complete with its own swimming pool. Villa includes use of all resort facilities including the nearby 18-hole championship golf course at the Sandals Golf & Country Club. A stay at this exquisite three bedroom villa is like being wrapped in a cocoon of tranquillity and privacy. Expansive living and dining areas flow into each other, creating a grand space that opens onto mesmerising views of the ocean. Perfect for reading or relaxing, shaded patios off each bedroom are cooled by fresh sea breezes. 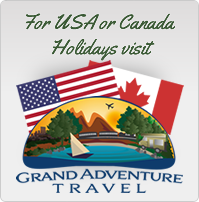 Naturally, staff is provided to cater to your every whim, including your own butler and a private room attendant. In addition to dining in the privacy of your villa on culinary masterpieces created especially for you, there is also the option of enjoying room service from any of our three restaurants, so spend the evening relaxing on the veranda with your favourite cocktail and an assortment of appetisers prepared by the villa’s butler. Le Papillon – Feel as if you have wandered into one of Paris most elegant restaurants. Le Papillons French-inspired Caribbean cuisine, which mingles the finest of Europe and the incredibly fresh local produce of Jamaica with the classical techniques and venerable traditions of France’s finest establishments, takes you on a truly unforgettable culinary tour around the world. 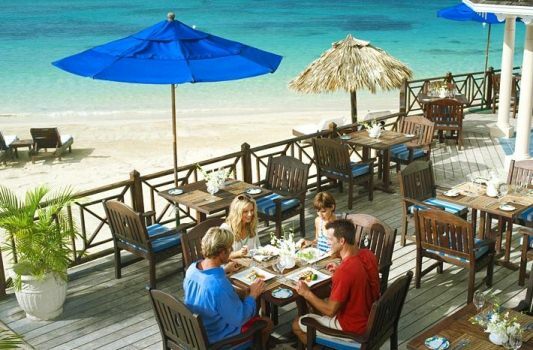 The Royal Cafe – Delectable fare in a prime beachfront spot. Enjoy innovative favourites such as lobster club sandwiches, lamb kebabs, exotic salads and refreshingly distinct ice creams. Tea Terrace – An exciting assortment of scones and other delicious pastries served with your favourite tea Afternoon Tea on the Terrace. Wobbly Peacock Pub – English Style Pub serving an exciting Pub fare menu. 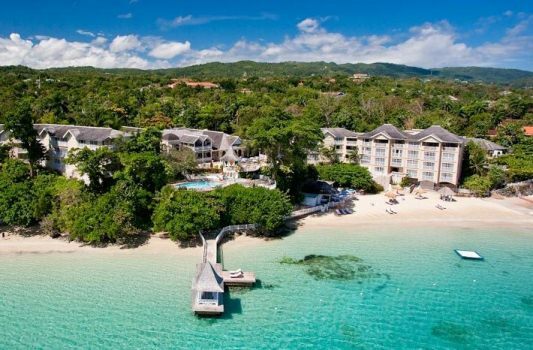 Free green fees and transfers to Sandals Golf & Country Club for all Sandals guests (caddies mandatory*). 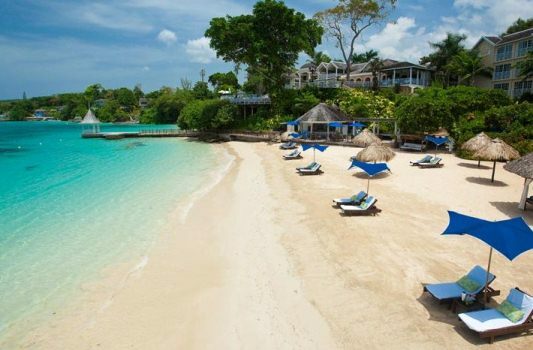 We receive lots of special offers for Sandals resorts, so please contact us on 01928 246 243 and we can personally plan your ideal Sandals holiday.